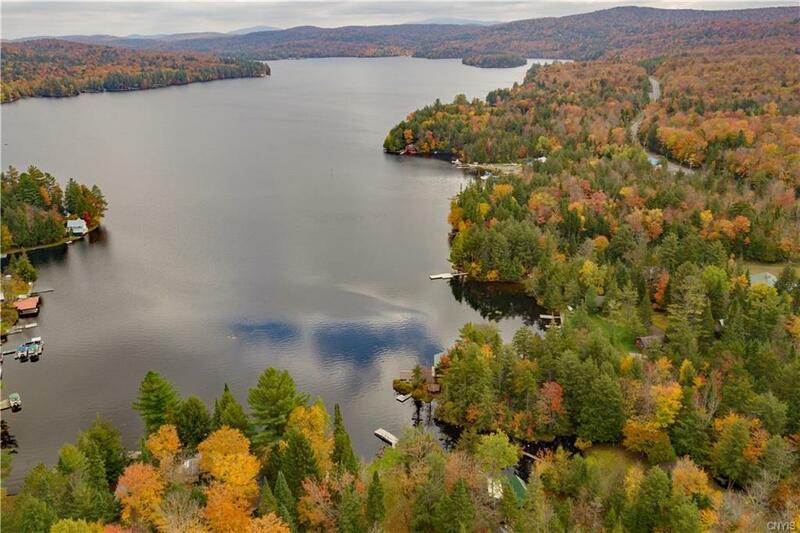 391 State Route 28, Inlet, NY.| MLS# S1163957 | Benn Realty LLC -Since 1968, and now with offices in Old Forge and Remsen to serve you better. 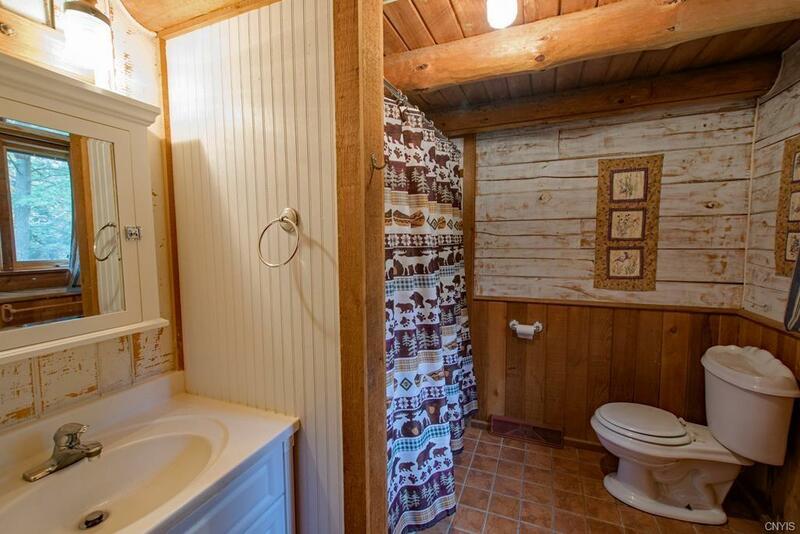 Here is your log cabin in the woods. With Bottle Creek meandering down one side of the property, you can relax on the front porch of this cabin and look at the waterfront and listen to the creek at the same time. 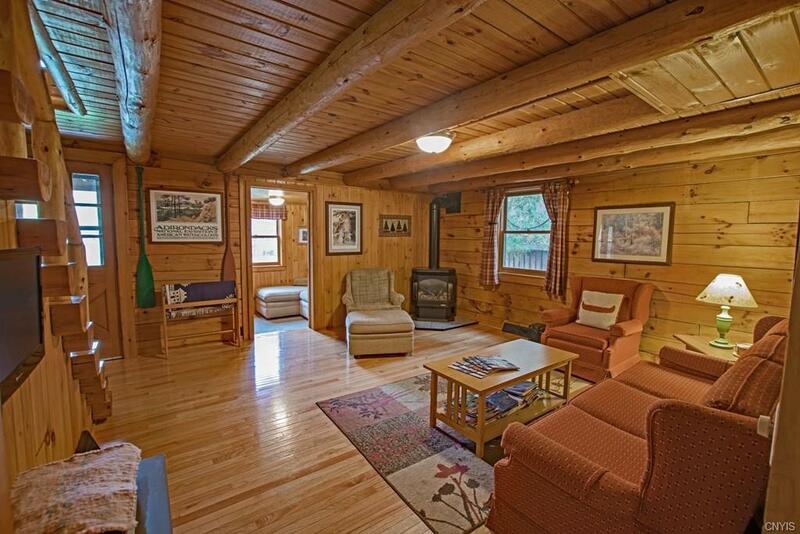 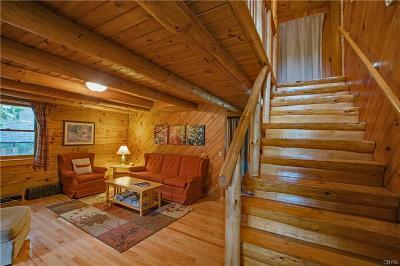 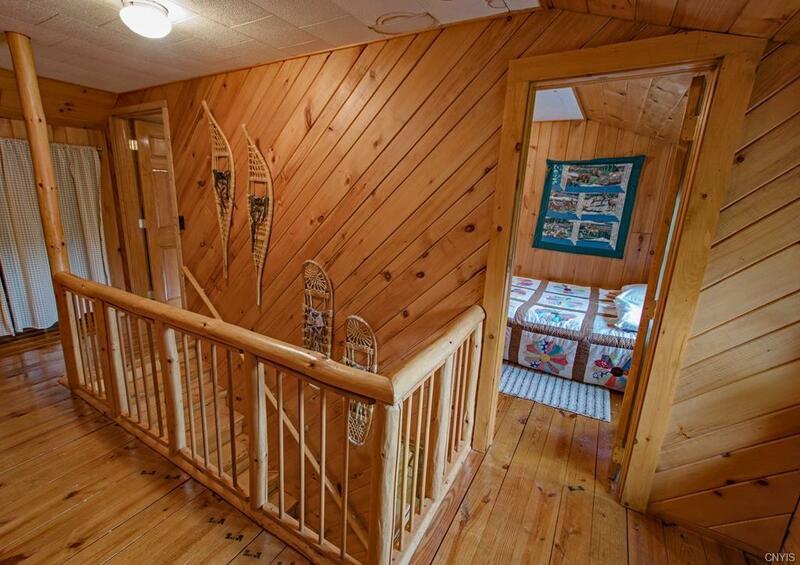 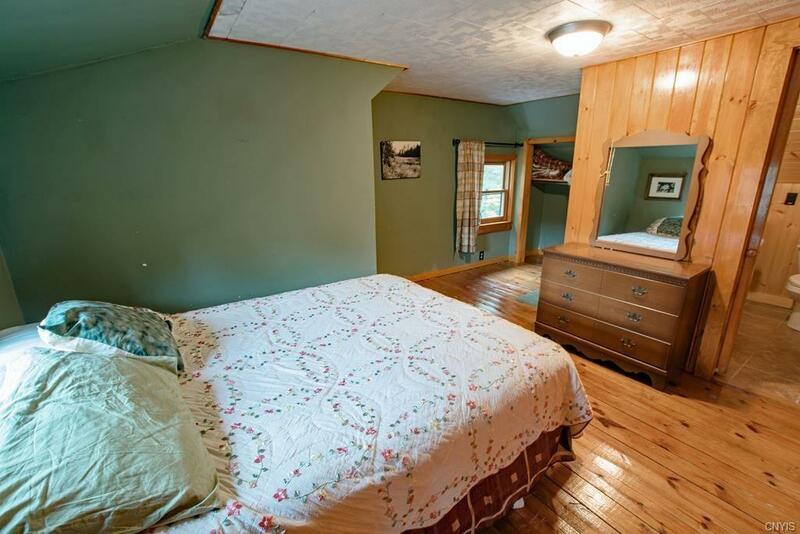 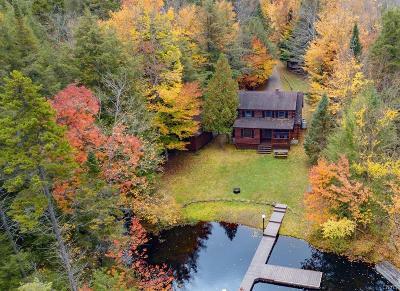 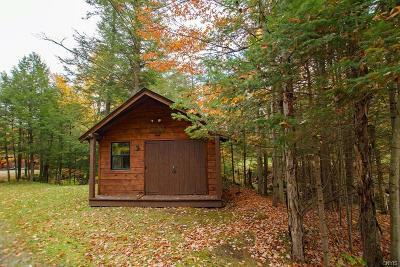 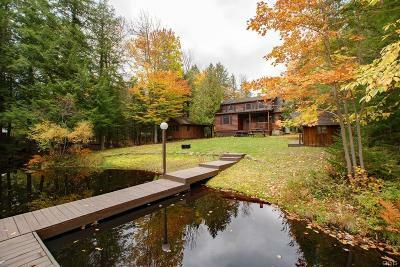 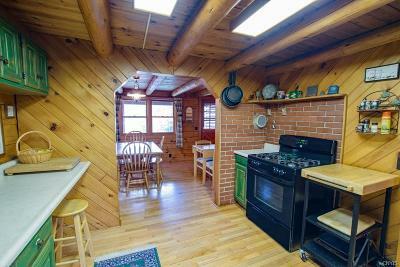 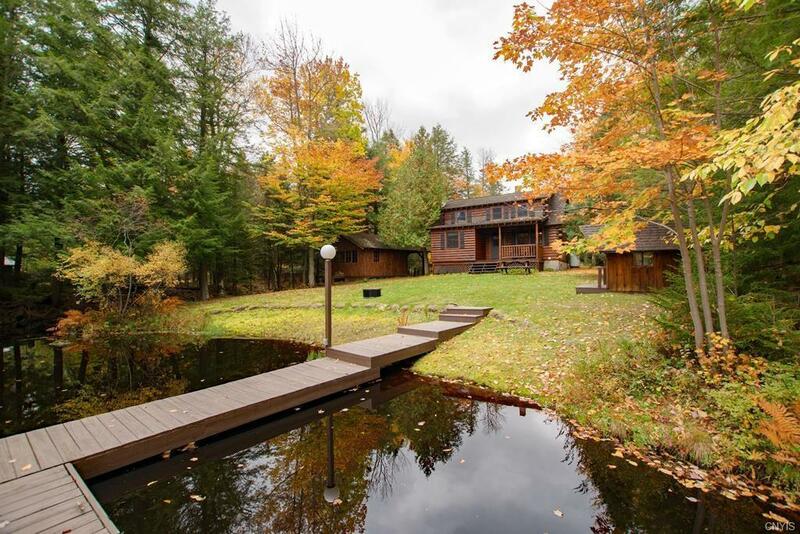 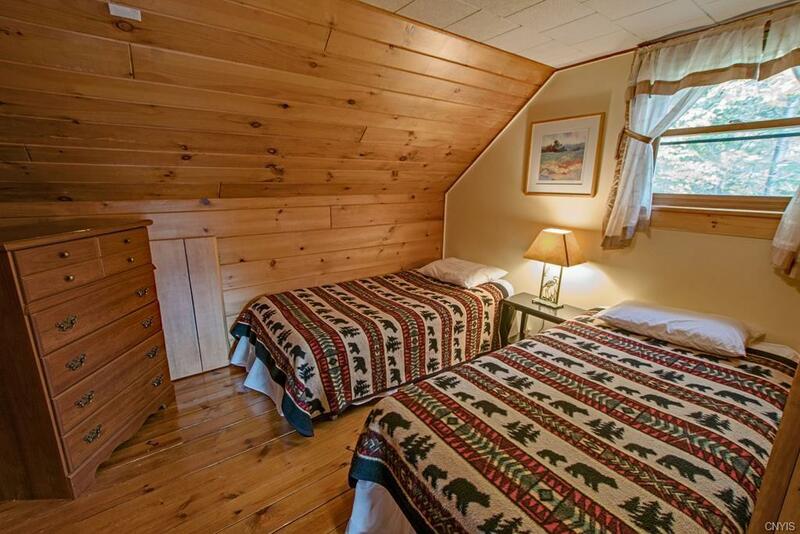 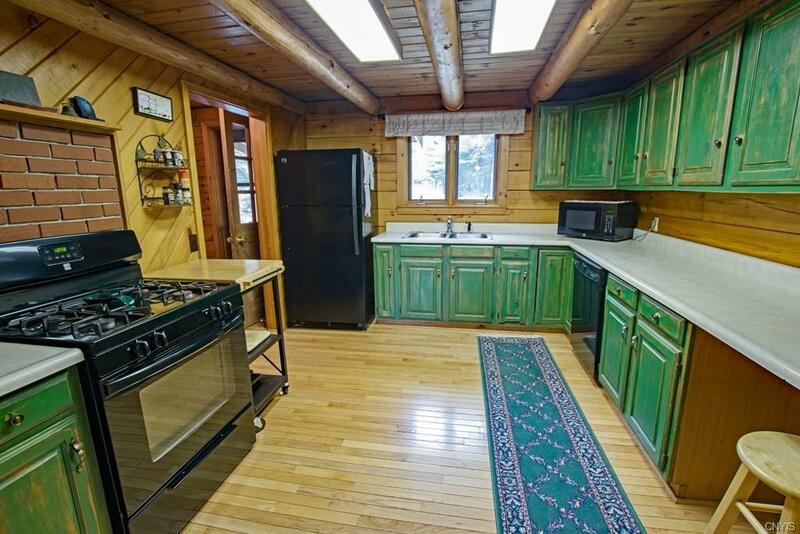 Spend time in the outdoors and use this home as a wonderful base camp while you explore the Adirondacks or sit by the gas log Stove and read a book while it snows. In any season, this home is perfect for a family. 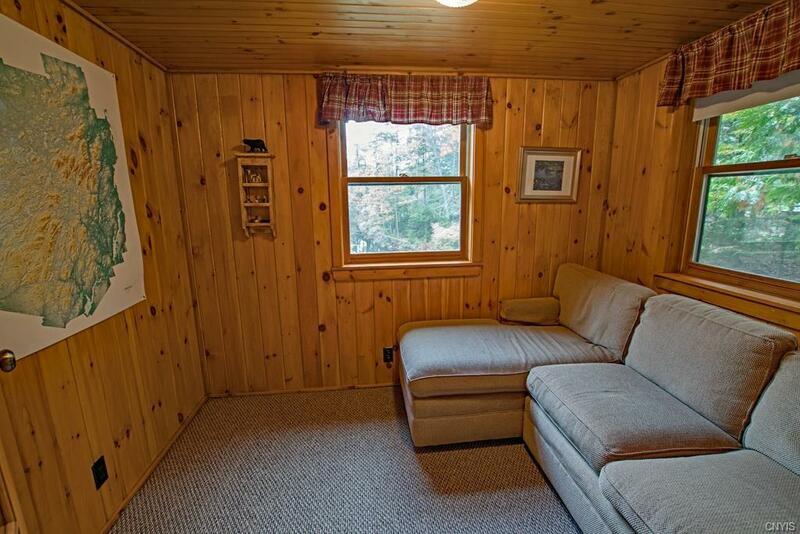 There is even a playhouse for the kids. 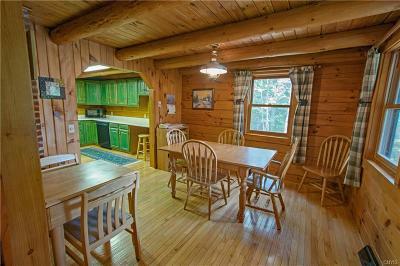 A bunkhouse sits right next to the main house and could be used for any purpose and it has its own covered porch to enjoy. An additional 16x16 shed with large doors for storage of small boats or sleds adds even more value! Directions To Property: From Utica, Take Route 12n To Route 28n Toward Old Forge To Inlet. 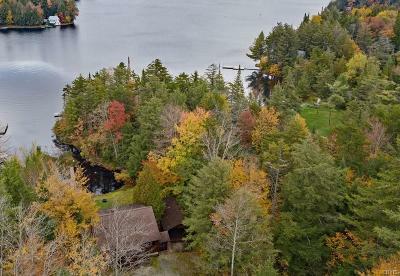 Property Will Be Just Before Bottle Brook On The Left Hand Side.